The hacker, the hipster, and the hustler. Three personas that relate to the techie, the designer and the sales founder types that have been depicted as the "dream team" by many investors. But as your startup takes off and the founding team is challenged to align efforts, not only to execute, it is likely that you will hire another important team member: the product manager. Why is it so important for this role to be a great fit with the rest of your team? This is likely to be a person that needs to collaborate with every part of the business. 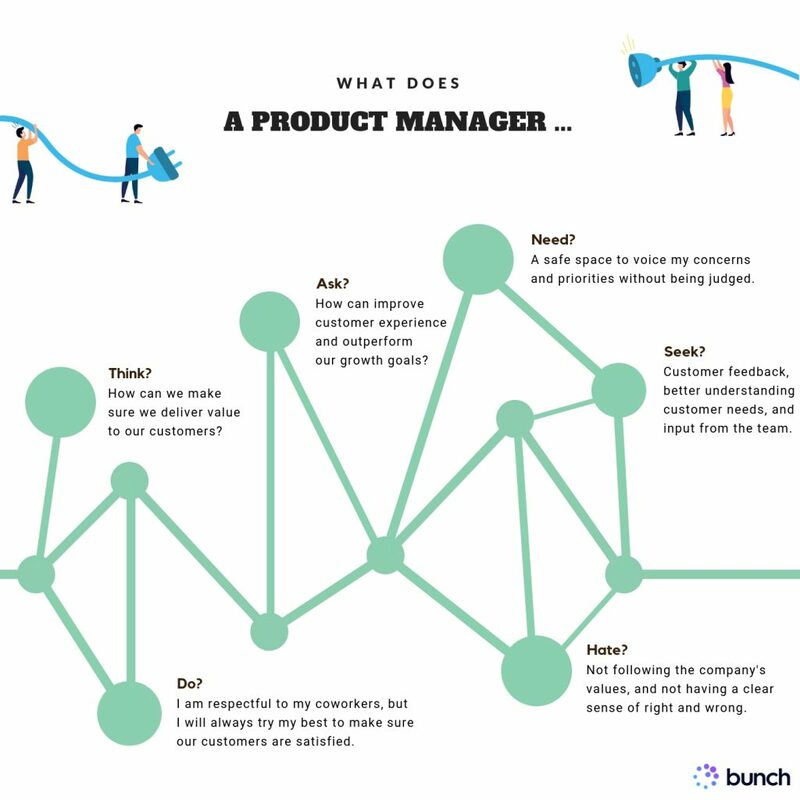 A product manager has to be a person with clear expertise in at least one of the three main domains of its work: business development, tech, or UX design. You are looking out for a person who is passionate about all three but also knows where they shine and which partners they need to succeed. If successful, this person will bring the team closer together and help you discover an amazing, valuable, usable, and executable product. And they will be doing all of this while making sure your vision moves in the direction aligned with your company's values! Sounds good? Let's start with finding good candidates. Not surprisingly, our analysis showed that product managers hold their principles dearly. In comparison to other roles on the team, they are more principled and customer oriented, always focused on bringing value to your customers. But what does this mean for your team? great at evangelising the product and promoting your team to others! As this role means you have to wear many different hats it is not surprising product managers prefer a holistic approach to tasks rather than get hung up on the details. They are constantly establishing and optimizing scalable processes. And all this while maintaining the structure of it! Obstacles made it difficult to achieve a work goal. They coordinated several projects at the same time. How did they juggle all the projects? How did they keep track of what needed to be done on each one? They enabled the team to voice their opinions and tapped into their collective creative potential? In the process of hiring product managers? Not sure, if the candidates you're looking at are a great match for your team? Or need want to know if they have the mindset you need to succeed? Grab a free account at bunch.ai and get started! For those of you who don't know us, our platform uses a scientifically validated methodology from Stanford University's Graduate School of Business that measures 6 clusters of behaviors that are displayed in workplaces. This research was conducted by Professor Charles O' Reilly and we've productized his findings to help you to hire the best talent and build high-performing teams.